Lord Jesus, you loved us to the utmost. You loved us to the end. 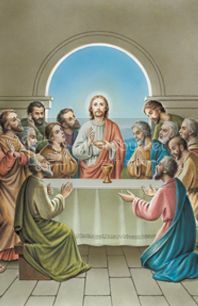 You remain in the Eucharist to be for us the food and drink that give eternal life. You remain with us to be the continuous sign of God’s saving presence in all circumstances of life. Forgive us, Lord, for the times we have failed to appreciate your gift of self to us and your loving presence in the Eucharist. It was a long, terrible night, Lord. And not one of your disciples found the strength to keep you company in your agony. Your only strength was your determination to do the Father’s will at all costs. And your solitary agony continues, even to this day, in the loneliness of those who have no friends, no home, no hope, no future …Our society is filled with them, but we pretend not to know, and slumber noisily while they die victims of neglect. And the unfair trial goes on, duplicated in all the unjust sentences through which innocent people are condemned and rascals are acquitted. You are still the victim of these injustices perpetuated against the weak, the defenseless, the voiceless of our society, * in whom you continue to live and suffer. 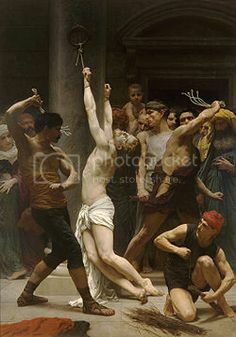 Instigated by your enemies, the mob wanted you dead, dear Jesus, and Pilate didn’t think it was worthwhile to uphold justice and protect your innocence. So the mad mob had its way. 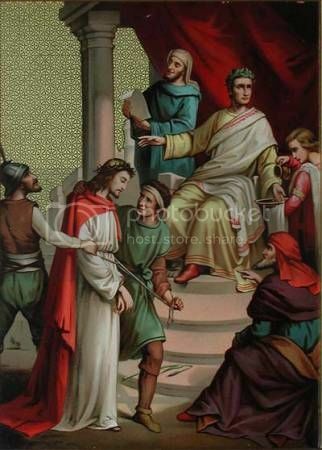 The Roman soldiers had their way as they reduced your body to a bleeding wound and crowned your head with thorns and mockery. Dear Lord, the cross was the punishment for criminals and insurgents. Who could believe that it was placed on the shoulders of the Son of God, the source of all holiness and goodness? And yet, you accepted it in all humility because you knew that such was the condition to save us from eternal damnation. Grant us the grace, dear Lord, never to burden others with our moral defects, and bravely to carry with you * the cross of our daily duty. 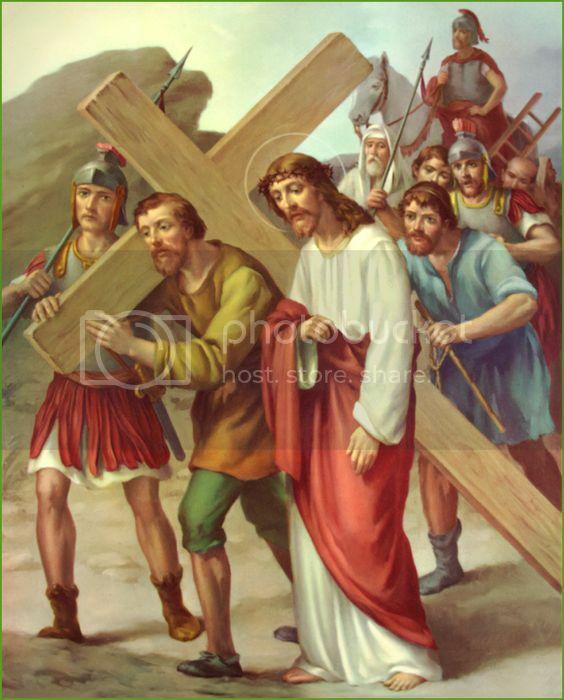 As he staggered along the road to Calvary, Jesus felt crushed by the cross he was carrying on his shoulders. 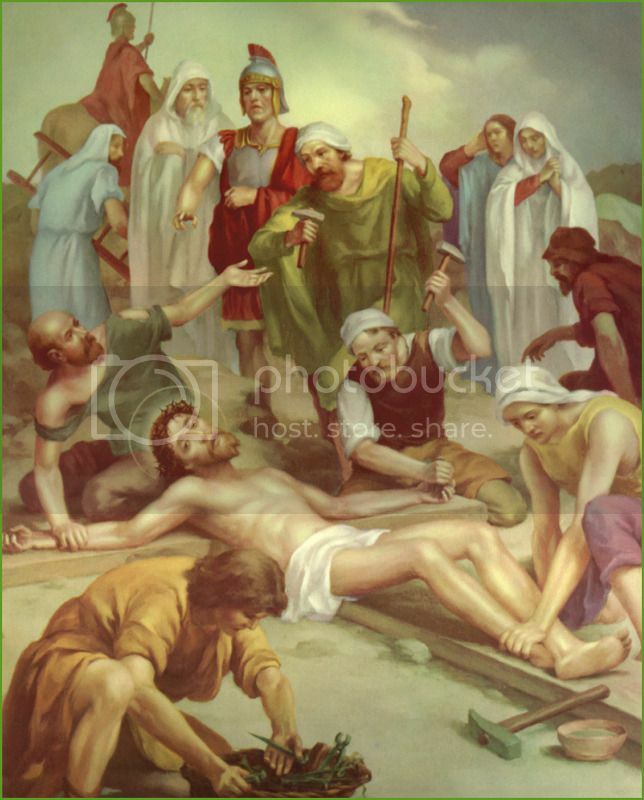 Much more, perhaps, he felt overwhelmed by the savage jeering of the mob that kept insulting him as if he were a criminal… Exhausted by the sleepless night and the tortures he had already endured, Jesus fell to the ground under the weight of the cross and the moral tortures he had suffered. The distance from the Praetorium to Calvary was not long – just a few hundred meters. But it took you long, Lord, to walk that stretch, staggering painfully and groping in vain for help … Your strength had long deserted you. The road was uneven. The crowd was merciless. 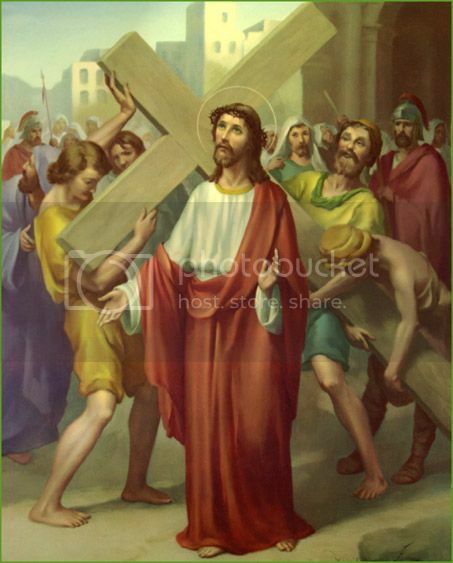 The cross was becoming heavier and heavier, till it weighed you down… down to the dust! Like you, Lord, so many of us stagger and fall along the hard way of the cross that life becomes when trials and failures overwhelm us and crush us to the ground. When we stumble and fall, Lord, be our support! And when our brothers and sisters seem unable to carry the burden of their trials, Lord, give us a compassionate heart, that we may not add insult to injury. Simon just happened to pass there on his way home from the fields. He was forced to make a detour – a detour that changed the course if his life. Forced to carry your cross, Lord Jesus, he himself became a victim of oppression and injustice. He experienced a share of your pain, Lord, and thus discovered what life can be if one wants to help others. 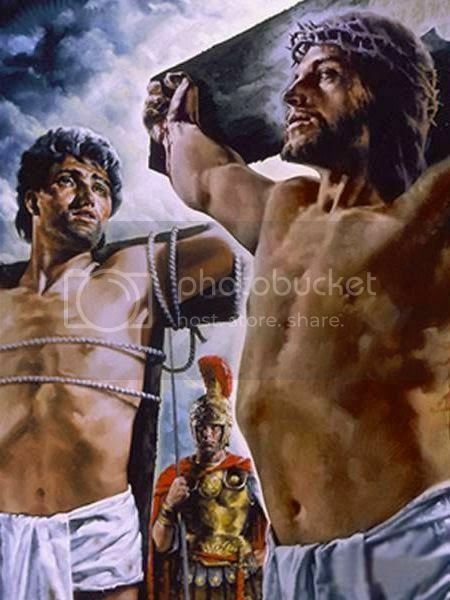 Send us more simon of Cyrene, Lord. Send us people who have the courage to shoulder the crosses of others in brotherly solidarity and patience. Make us like Simon, Lord. 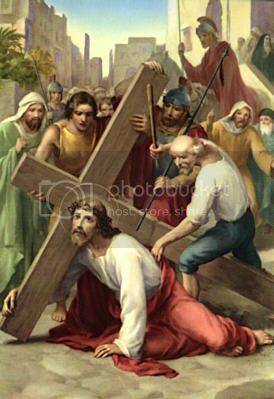 Grant us the strength and generosity to carry one another’s burden, for our society is crowded with poor Christs crushed by crosses of all shapes and weights. 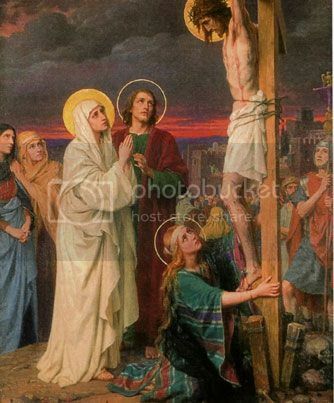 Lord Jesus, those women of Jerusalem were surely sincere in their sorrow for you. They were brave enough to follow you along the road to Calvary. But you directed their attention to the cause of your suffering – SIN, and the punishment which unrepentance would bring down on all. We wish we were as sincere as they were in lamenting the unfair treatment to which you were subjected. And we wish likewise, that we were equally sensitive to the suffering of our neighbor – especially the squatters, the jobless, the homeless, and all the other victims of human injustice and exploitation. For it is all these forms of sin which bring down God’s well-deserved punishments on our society. 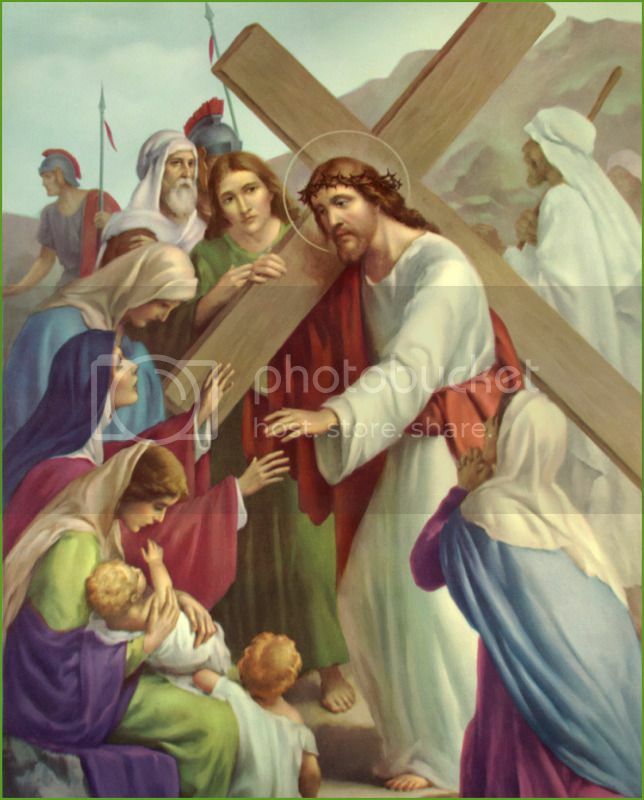 Lord, those hands of yours which caressed the children, blessed the sick and chased demons away are now nailed mercilessly to the wood of the cross. Your feet which had taken you from village to village in an effort to bring the Good News of the Kingdom to all, are now immobilized forever… your enemies dare you to come down from the cross. But you don’t. Not because of the nails, but because of your love for us sinners. It was love which brought you there. It is love that keeps you there. 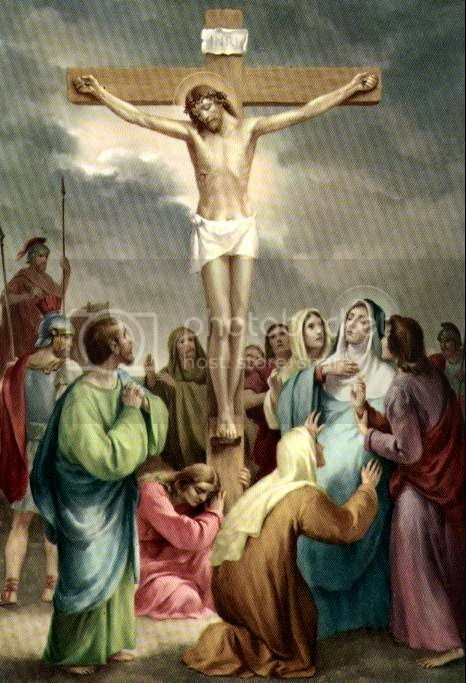 Lord Jesus, grant us the grace to do our duties out of love and with love, even when all this resembles the pain of the crucifixion. Lord Jesus, there was so much sincerity in the public confession of the repentant thief… so much faith and trust in the words he addressed to you. The man really believed in your mercy. He believed in your kingdom. And you did not disappoint him. We often meet people who have done wrong and would like to begin a new life. Lord, grant that we may always be as well disposed to them as you were to the repentant thief. In this way, we, too, will end the course of our life sharing the faith and trust of the good thief, and hearing your promise of eternal life. No one on earth loved you as your Mother did, Lord; nor did you love any other person on earth as you loved her. And she was there, witness and sharer of your redeeming suffering. By entrusting her to John, you provided for the remaining days of your Mother. By entrusting John to her, you provided for all mankind, for you gave us all your very own mother as our mother. May we be as loving children to her as you were. We were all condemned to die because of our sins, and you took upon yourself the death penalty that you alone did not deserve. You had only one life, dear Lord, life all of us, and you gave it up of your own free will, that we might live forever. It was our sins, it was your love for us that killed you, dearest Jesus. 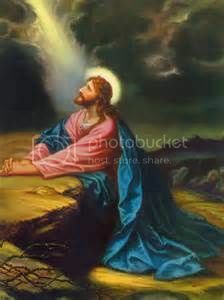 Lord Jesus, the dark night of death has engulfed you. The only bright lights are the tender love of your Mother, the faithfulness of John and the friendship of Joseph of Arithmathea and a few others. You are laid in the tomb like a precious treasure placed in a chest; like a seed hidden in the soil. Your burial gives meaning and hope to our burials. Thanks to you, they have become the tranquil sleep in the lap of mother earth, trustfully awaiting the joyful awakening when the dawn of our resurrection will break the fetters of death forever. 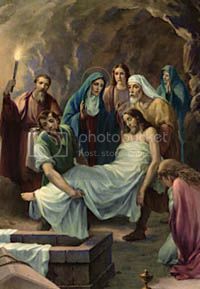 Jesus, your holy body could not undergo the corruption of the sepulcher. The tomb could not hold you longer than it was needed to prove that your death was real. 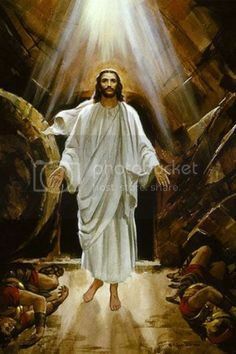 Now the shattered seals, the entrance stone rolled back, the testimony of the angel prove that our resurrection is real. It also proves in advance that we too shall rise. Your resurrection, Lord, is the pattern of our resurrection even now. It is a challenge to all of us to rise, from the death of sin to the life of grace. Jesus, you are the Lord of the living. Thank you, Lord, for dying for us. Thank you for rising for us. Leader: All-powerful and ever-living God, your only Son died for our sins and rose triumphantly from the dead. In your goodness, raise up your faithful people to be one with him in the eternal life of heaven, where he lives and reigns with you and the Holy Spirit, one God, forever and ever. Leader: And may the blessing of Almighty God: Father, Son and the Holy Spirit, descend upon us and with us remain always. – images from around the net.